At Platinum Recruitment, we have a range of temporary chef jobs to choose from. As a leading catering recruitment agency, we specialise in recruiting the top industry professionals. 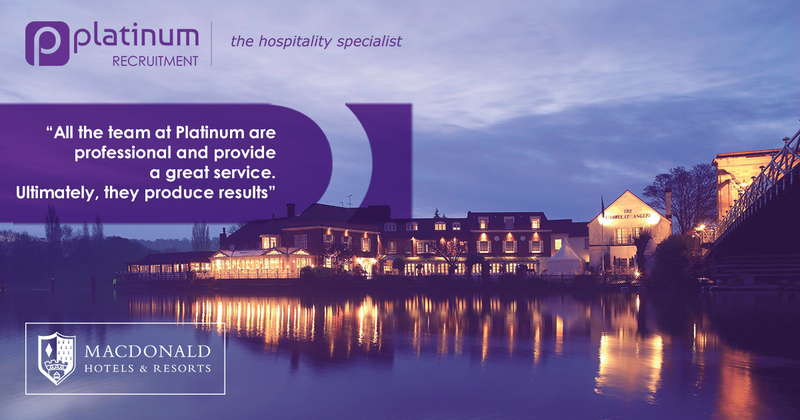 Platinum Recruitment has long-term relationships with some of the best hotels and restaurants in the industry. We pride ourselves in our expertise and in-depth knowledge to help find the right job for you. Our roles vary from Pastry Chefs to Chef de Partie through to Executive Chef with most of our clients offering free accommodation as they are based nationally. What our temp chef agency clients say about us…. Joining a relief chef agency like Platinum Recruitment, allows you to work in various sectors. Platinum Recruitment partner with some of the UK’s finest Michelin restaurants. Applying as a relief chef is an excellent way to gain experience in and find what kind of chef job you want. Temporary roles are an excellent way to experience seasonal opportunities or work until you find a permanent position. If you are searching for temp chef work, we have a choice of roles for all skill levels. Agency chef roles give you the opportunity to work in a variety of new and exciting environments. Apply your skills in gastro pubs, catering events and more! You also have flexibility to work when is suitable for you.